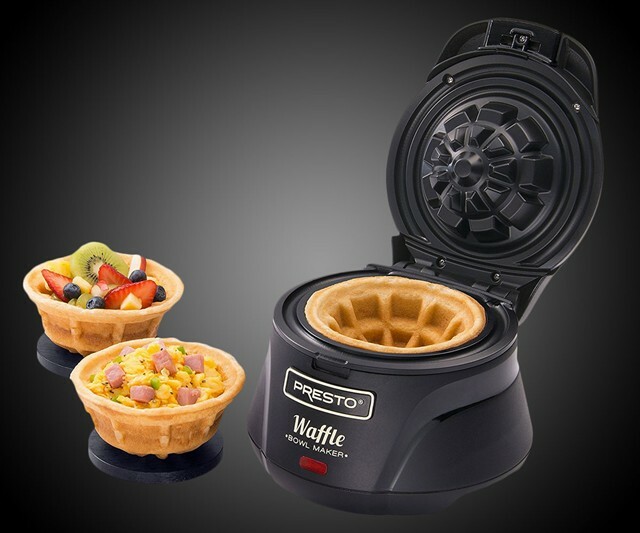 We’ve just discovered this Belgian Waffle Bowl Maker exists, and we’re seeing a lot of potential here. A waffle makes a great bowl for ice cream of course. But just think of the portability of a butter and maple syrup-filled waffle bowl. And salivate over the idea of chicken and waffles in a foldable taco format. At just over $20 on Amazon for several different brands, this is one investment we think will have a delicious return.